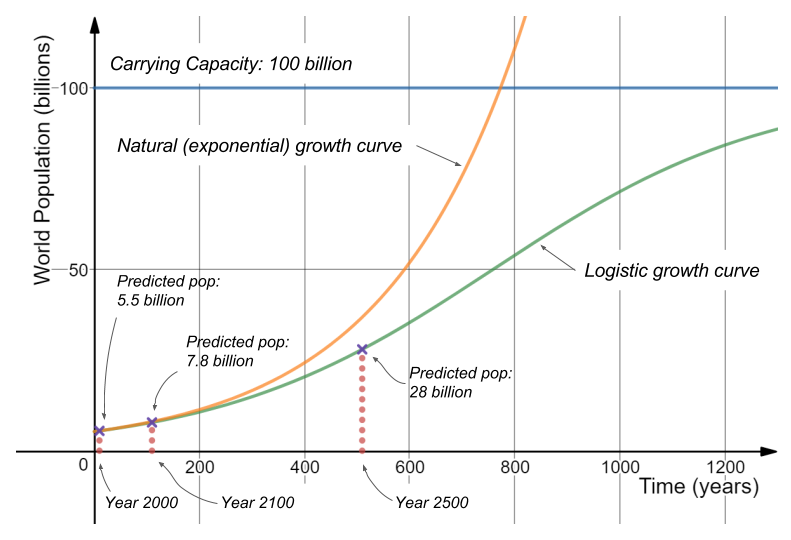 This concept of carrying capacity is interesting, especially when it comes to humans. There seems to be a falsehood that many people in first world countries believe. That is, we will never run out of resources. This obviously isn’t realistic and I think we are closer to carrying capacity than we believe we are. Even if we find renewable resources the world is only so large.